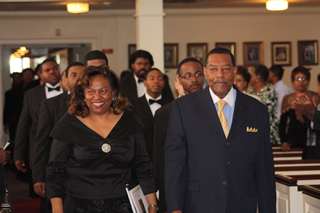 In 2009, Louie Carrington began a project to record the Huston-Tillotson Concert Choir, under the direction of Dr. Gloria Quinlan. The project was put together with a series of concerts to raise funds for the recording. The first concert was held at Riverside United Methodist Church in Houston, Texas featuring Freida Malone, The second and third concert was held at St. Paul United Methodist Church in San Antonio, Texas and St. James Episcopal Church of Austin, Texas featuring Carolyn Thompson. After the fund rising was completed. 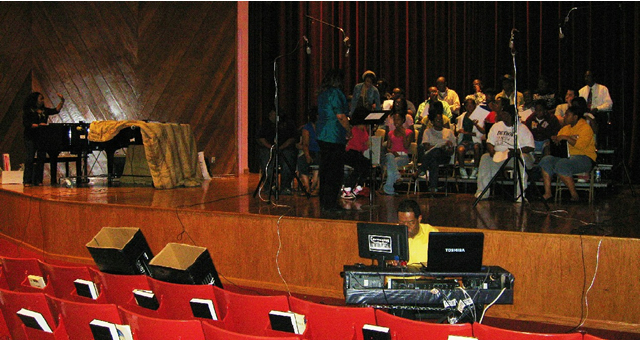 Louie Carrington began recording the choir in the Chapel on the campus of Huston-Tillotson University. The recording not only featured the choir, it also featured the HT Jazz Ensemble under the direction of Javier Stuppard. The CD features Spirituals, Jazz and Gospel songs such as, “Sing unto God”, “Jazz, Green Dolphin Street” and “I’ll Trust You”. The CD was released in 2012, in Houston, Texas. 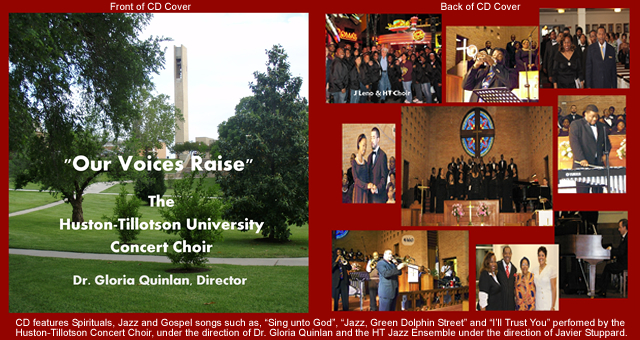 The CD is available in the Fine Arts Department at Huston-Tillotson University. Site Design by Feral Grafix.